Aretha Louise Franklin is an American singer and songwriter. Franklin began her career as a child singing gospel at the church of her father, minister C. L. Franklin's church. In 1960, at the age of 18, Franklin embarked on a secular career, recording for Columbia Records but only achieving modest success. Following her signing to Atlantic Records in 1967, Franklin achieved commercial acclaim and success with songs such as "Respect", "(You Make Me Feel Like) A Natural Woman", "Spanish Harlem" and "Think". By the end of the 1960s decade she had gained the title "The Queen of Soul". 20 classics from the Queen of Soul arranged for piano and voice with guitar chord frames. Songs include: Ain't No Way - Chain of Fools - Do Right Woman Do Right Man - I Knew You Were Waiting (For Me) - I Never Loved a Man (The Way I Love You) - I Say a Little Prayer - (You Make Me Feel Like) A Natural Woman - Respect - Rock Steady - Save Me - Think - Until You Come Back to Me (That's What I'm Gonna Do) - and more! Recorded by Aretha Franklin, this soulful arrangement will bring the house down! Performance time: Approx. 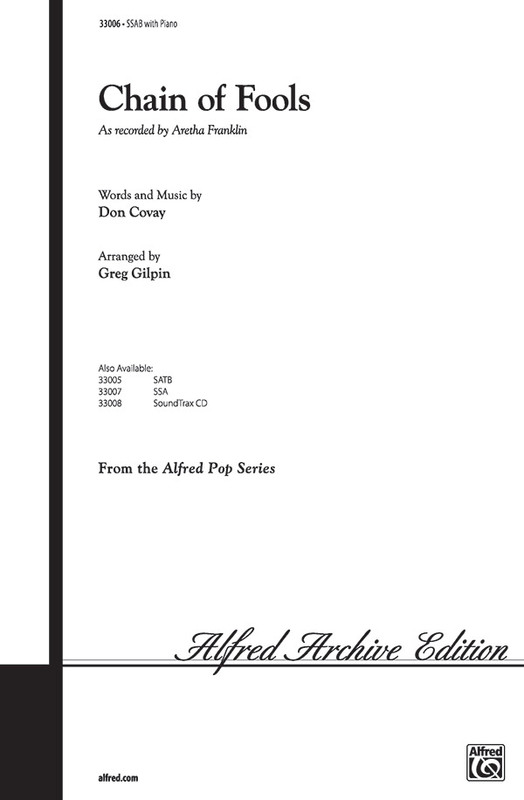 2:45.Available separately: SATB, SAB, SSA, ShowTrax CD and Instrumental Pak (Parts for Clarinet, Trumpet, Trombone, Cuitar, Bass and Drums). The first woman inducted into the Rock and Roll Hall of Fame, one of Time Magazine's Top 100 of the Century... for Aretha Franklin the accolades go on and on. The music that electrified a generation still has the power to move audiences today. 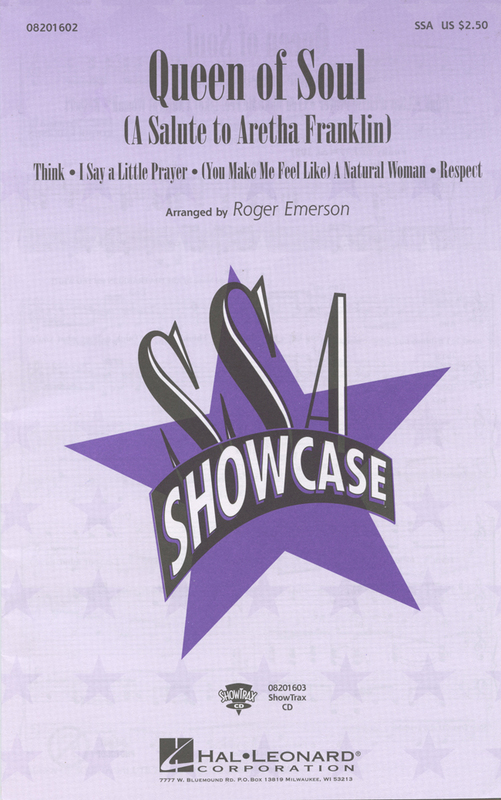 This 5-minute medley features four top Aretha Franklin hits: You Make Me Feel Like) A Natural Woman, Respect, I Say a Little Prayer, Think.Available separately: SSA and ShowTrax CD. Performance time: Approx. 5:00. You'll bring down the house with this high-powered sizzler! 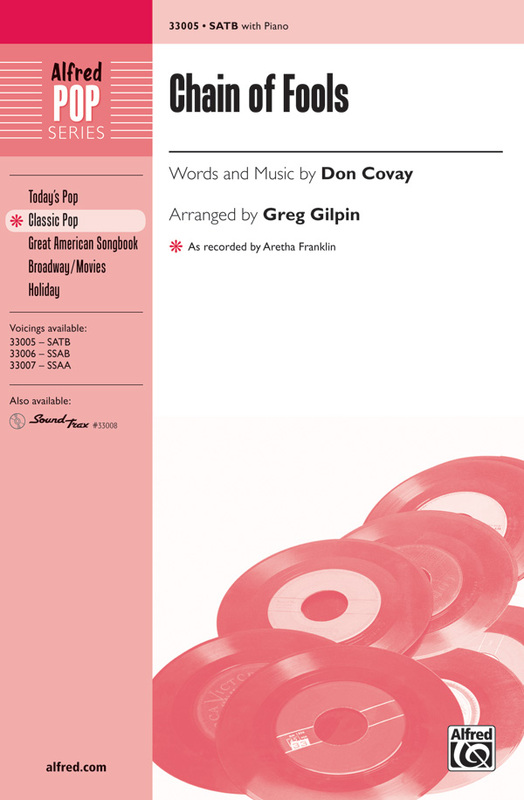 The 1967 #1 hit by Aretha Franklin is a great showcase for a special soloist.Available separately: SATB, SAB, SSA, Instrumental Pak (Combo) and ShowTrax CD. Performance Time: Approx. 2:10.